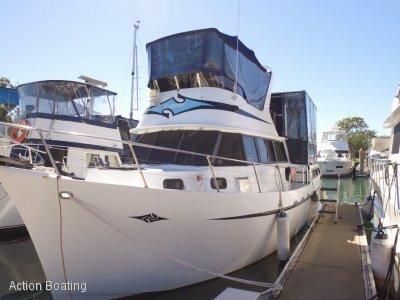 Houseboat 40 with fibreglass hull and twin Mercury 60HP 4 stroke outboards. 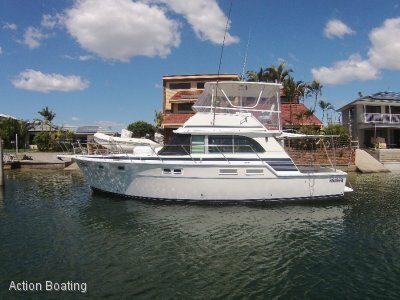 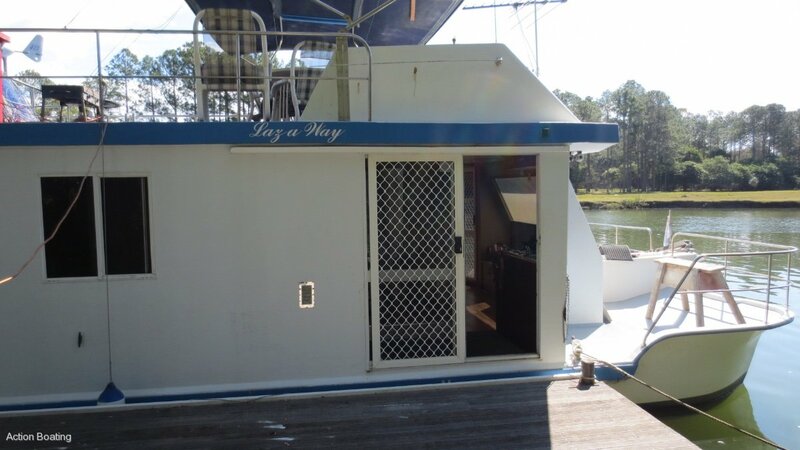 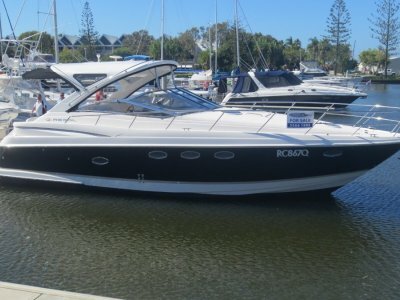 This houseboat is a great package and will support a full live aboard lifestyle with massive upper deck, two helm stations, two doubles, large Living room, L shaped kitchen, Gas cooking, Large bathroom with separate shower, dryer, davit, poly tender & Mariner 8HP outboard, covered roof with large table, staircase to roof top and wind generator. 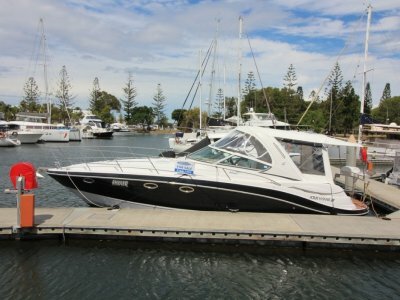 Call owners central agent today Action Boating 07 5564 1995.